I hadn’t played a tournament since May, when I had a disastrous tournament and lost four games before withdrawing in disgust. My tournament this weekend was mostly mediocre, except for one game, in which I scored my first win against an IM. (It was a useful moment to start playing like a master myself.) Naturally, that’s the one I’m going to show. Previously, I had played the main line of the super-sharp Mieses variation of the Scotch, which goes 6. e5 Qe7! (not Nd5) 7. 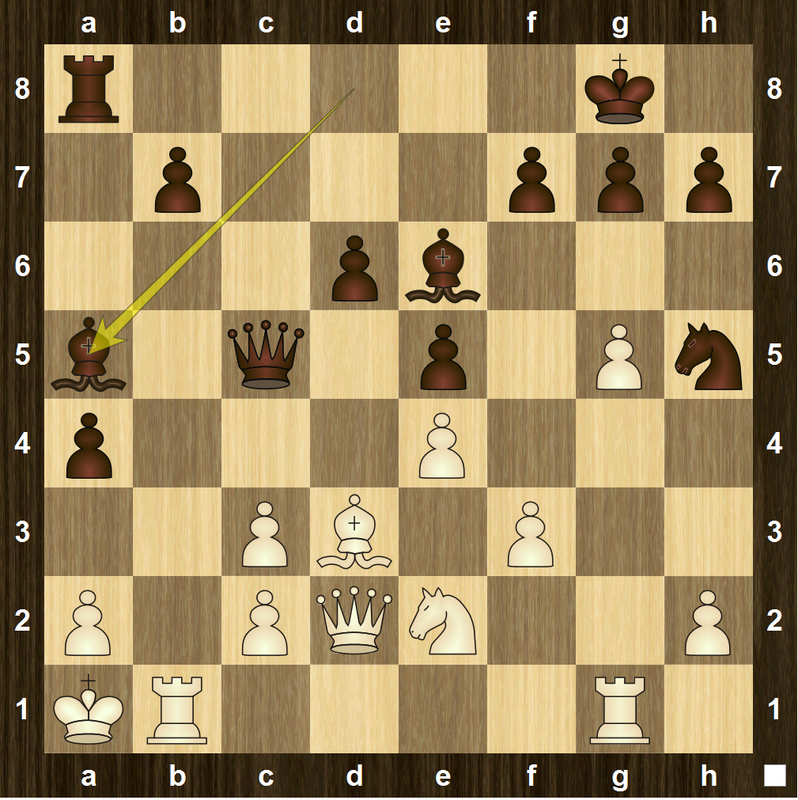 Qe2 Nd5 8. c4 and black plays either 8…Nb6 or 8…Ba6. The game could continue something like this. However, this is the sort of game I’d rather watch than play, being a Boring Positional Player and all that. So, the quieter and more civilised 6. Bd3 line suits me better and allows me not to memorize gobs of theory, although objectively it offers white somewhat fewer prospects. This move surprised me. I usually see 6…d5, after which I would continue with 7. exd5, since after 7. e5 Ng4 8. 0-0 Bc5, black is going to be the one who has more fun for a while. Here’s the sort of thing that can go wrong for white. But after 7. exd5, white is slightly better, since eir pawn structure is slightly better. Okay, 8. Nc3 is more natural (and more common), but I am not yet sure how I want to develop my queenside pieces: do I put my bishop on g5, or on b2? Do I develop the knight to c3 or d2? If c3, should I play c4 first? But I am certain that I will have to move my queen out at some point, so I might as well do that now and think more about what to do about the rest of my pieces. A very sensible redevelopment. My opponent is planning to play Bf6 next move (whether I play Bb2 or not) and later plant the knight on c5 or e5, where it’s sort of annoying. I think both sides can be relatively satisfied with this position. It’s about equal, and there isn’t anything obvious that either side has to do, so we can just play chess and try to come up with the best ideas we can. Okay, so his plan is to weaken my queenside pawns or else open the a-file for his rook. Very sensible. Playing 16. a4 felt wrong, since after 16…Nxd3 17. Qxd3 Qxd3 18. cxd3 Rb8, I’ve given my opponent a target for no good reason. One possibility (depending on where the queens are at the time) is to play b4 after black plays a4 and then follow up with a3 (unless black plays it first). Then we each have a bunch of structural weaknesses that probably balance out. 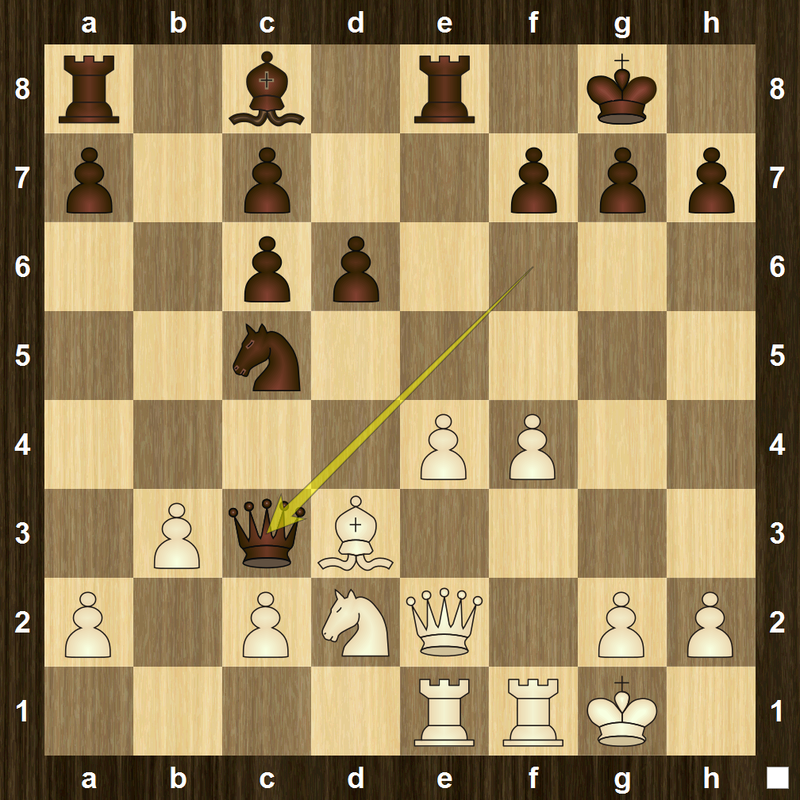 Another option (which the computer recommends) is to play e5 and focus on black’s c-file weaknesses. The position remains balanced. I’d be satisfied with exchanging queens on d2, but not on b4. Not 17…Qa3? 18. Bb1!, and after an eventual e5, the white bishop will be a very dangerous piece. But not 18. Kh1? when after 18…a4! I don’t have a satisfactory way of dealing with Nxd3 and Ba6. Really? That way? I was mostly expecting the bishop to move out to a6 or b7 at some point. Aside from the fact that I don’t want to allow him to capture on f3 and slightly damage my kingside pawns (which wouldn’t be too big of a problem), this introduces some interesting tactical possibilities in the next few moves. It looks like black is making progress on the queenside. But there’s a small problem. Suddenly the bishop is in serious danger of getting trapped. The only way out is to play f6 followed by Bh5 and Bf7. 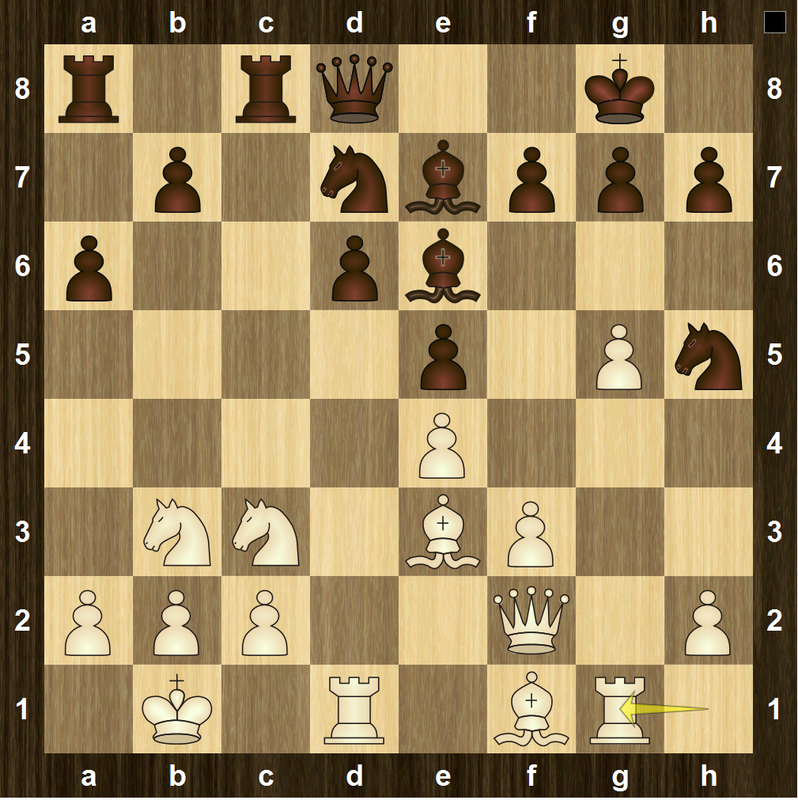 Note that the move order is very important: After 21…Bh5? 22. Qh3! g6 23. g4 wins the bishop. Unbelievable! He’s just going to let me trap his bishop? Yes, because if I start to trap it with 22. h3, then after 22…bxa2 23. Ra1 c5 24. Nc2 Qb1 25. Rf1 c4 26. Qd2 Qb6 27. Kh1 Bh5 28. g4 Bxg4 29. hxg4, black has lots of compensation for the piece and is better (but possibly not winning). Of course, I didn’t see the whole line, but I saw enough to realize that it was sensible to stabilize the queenside before dealing with the bishop. There’s no need to help me reroute my knight to a better square. Now white is substantially better. Just a few moves ago, we had a relatively quiet position, where it seemed hard for either side to make any seriously dangerous threats. Now the position is very sharp, and seemingly minor inaccuracies like c5 can be fatal. 23. Nb5 was briefly tempting, but my move helps the knight get to the square it actually wants to reach: d5. Of course, I was expecting this move, but it runs into tactical problems…that I completely overlooked. Better was to sacrifice the bishop with 23…Qxb3, which gives black some compensation for the piece, but probably not enough. Looks sensible, but after 24. Qc4+! black is in serious trouble and possibly just lost. 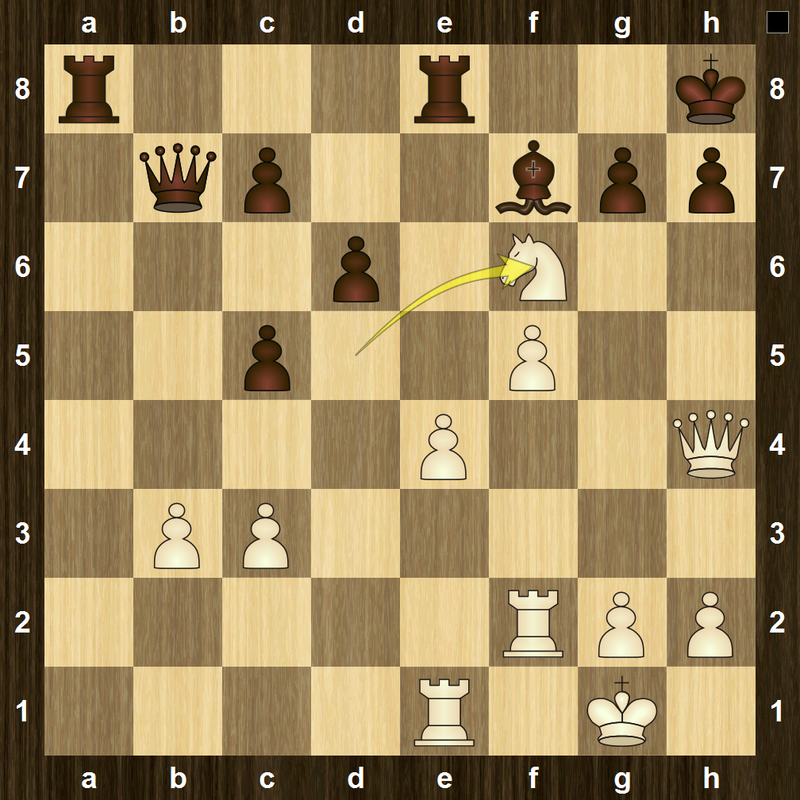 The obvious move 24…Kh8? just loses to 25. Ne3!, when the bishop is lost for very little compensation. Better is 24…Kf8, but after 25. 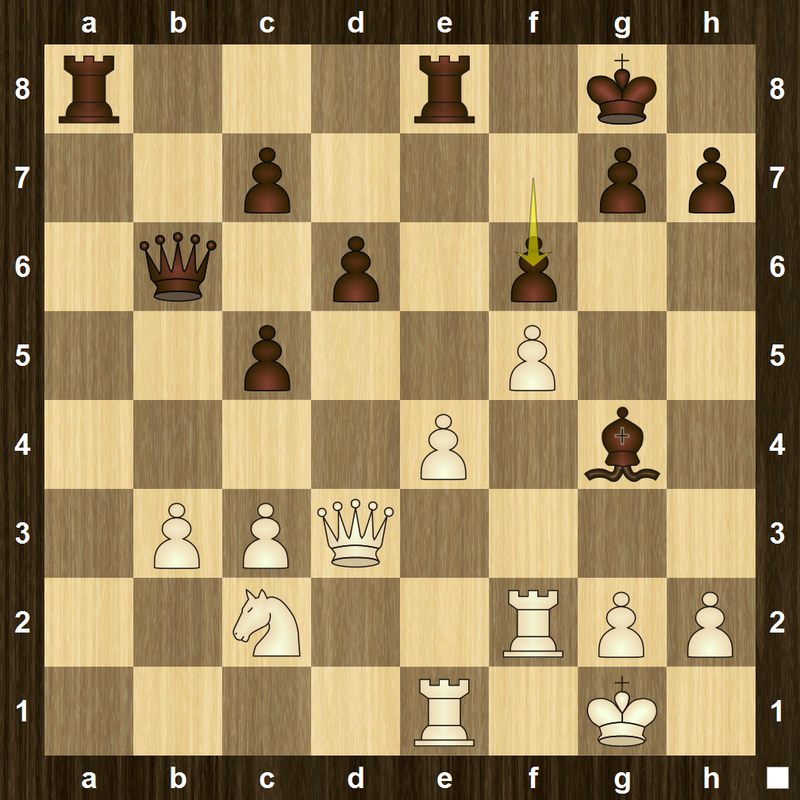 e5!, black’s problems continue: 25…Bh5? loses outright to 26. e6, but after 25…Rxe5 26. Rxe5 dxe5 27. Qxg4 Qxb3, black can muddle on. Instead, the computer’s choice is 24…d5, but white just captures with the queen and is up a pawn for no compensation. After my mistake, black is okay again. At least, in theory: in practice, white’s position is much easier to play. 24…Bh5 25. Nd5 Qb7 26. Qg3! No more messing around; it’s time to attack the king. I was expecting this move, but 26…Kf8 avoids some of black’s later problems. I suppose he missed or underestimated my 28th move. What else is he supposed to do? 27…c6! Then after 28. Nxf6 gxf6 29. 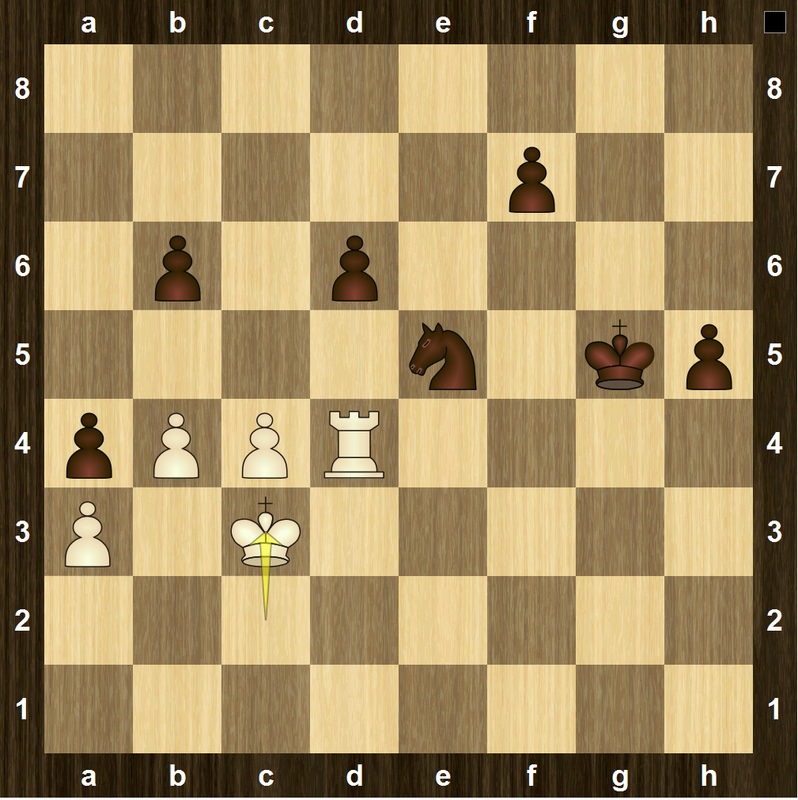 Qxh5 Qxb3, the position is equal. Now white is winning. The computer tells me that 30. Rf3 is even stronger. Whatever. 30…Qxb3 puts up a bit more resistance, but it’s still lost. New mate threat: f6 and Qg7. Of course, I’m thrilled with the result of this game, but I’m also quite satisfies with the game itself. It was one of the most interesting games I’ve played, and I’m happy with how I played, even if I did miss a very powerful move on move 24. I’m hoping this is only the first of many wins over masters on my quest of chess improvement. It shouldn’t have been too hard, based on what he knew. Let us take a look. One can get rid of all the divergent series and weird expressions like by taking limits and being careful with error terms like a modern mathematician would do. But that wasn’t a necessary part of the culture in the 18th century. At this point, Euler stopped, but I don’t understand why. It is now possible to make an estimate for the number of primes up to , using a quick and easy computation. Since I’m a rebellious mathematician, I did the following computation on the front of an envelope. (where I wrote 2 instead of 1 as the lower bound for the sum and integral to make them converge). And that’s one version of the prime number theorem. Nothing here would have caused Euler to break a sweat. But yet Gauss seems to have been the first one to conjecture the prime number theorem, and even he apparently did so on the basis of actually working out tables of primes and counting. I had seen the Wallis product, but I did not know a derivation of it until a few weeks ago, when I discovered this gem when reading the wonderful book Sources in the Development of Mathematics by Ranjan Roy. I’m storing this example to use next time I teach calculus, as it requires nothing more than integration by parts. Like in the case of many other such things in mathematics, I don’t know what the Wallis product actually is; I can only discover it by going through a derivation. So, I won’t give away the answer until we get there. But the goal is to write down an infinite product for . This is the Wallis product. Last weekend, I played the BayAreaChess Thanksgiving tournament. My play was pretty bad, but my results (2 wins, 1 draw, 2 losses against all players rated a bit higher than I) were okay, and I hit a new rating high of 2050 after the tournament. 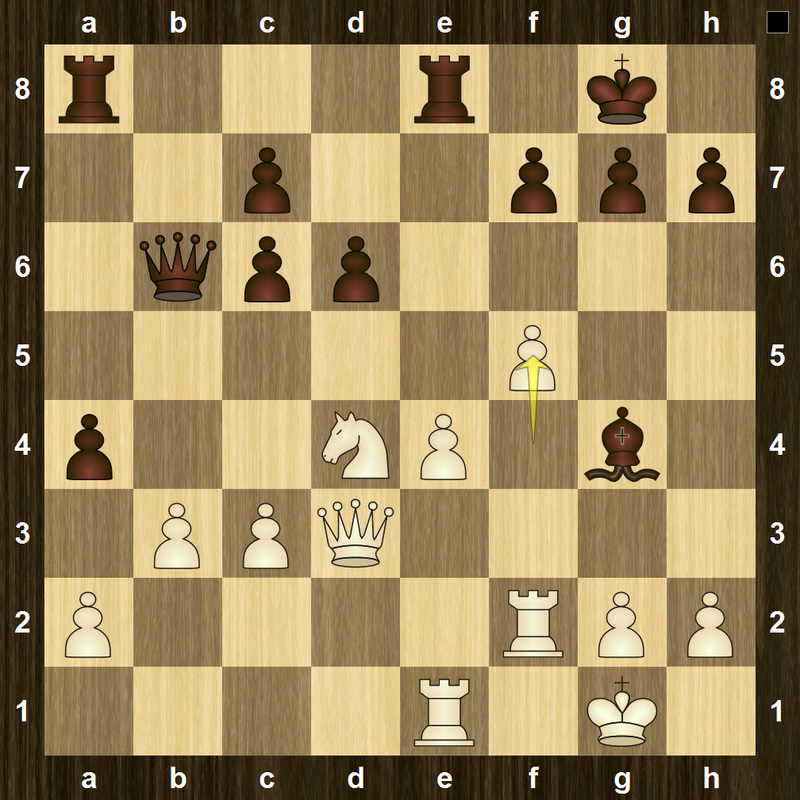 This game, the most exciting but definitely not the best-played, features a total of three exchange sacrifices, followed by a sharp endgame culminating in a pawn race. All in all, it was an amusing if inaccurate game. Unfortunately, I don’t know my lines in the Najdorf as well as I should. The main move is 11. g4, but I was under the impression that white is supposed to wait until black plays Nbd7 to play g4. (At least, that was my rough heuristic.) But my move is okay as well. But I still didn’t play g4 immediately, because I wanted to stop black from playing Nb6 first. Black is now planning to follow up with Rxc3. So, at this point I had to decide how to evaluate the position after the exchange sacrifice. I thought that if I could isolate some of black’s pieces on the kingside and out of trouble, then black would fail to get full compensation. So, I was willing to encourage the sacrifice. Exchange sacrifice #1. I was pretty optimistic here, because the knight on h5 isn’t actively helping in the attack for the time being, and the e7 bishop also isn’t currently terribly useful. 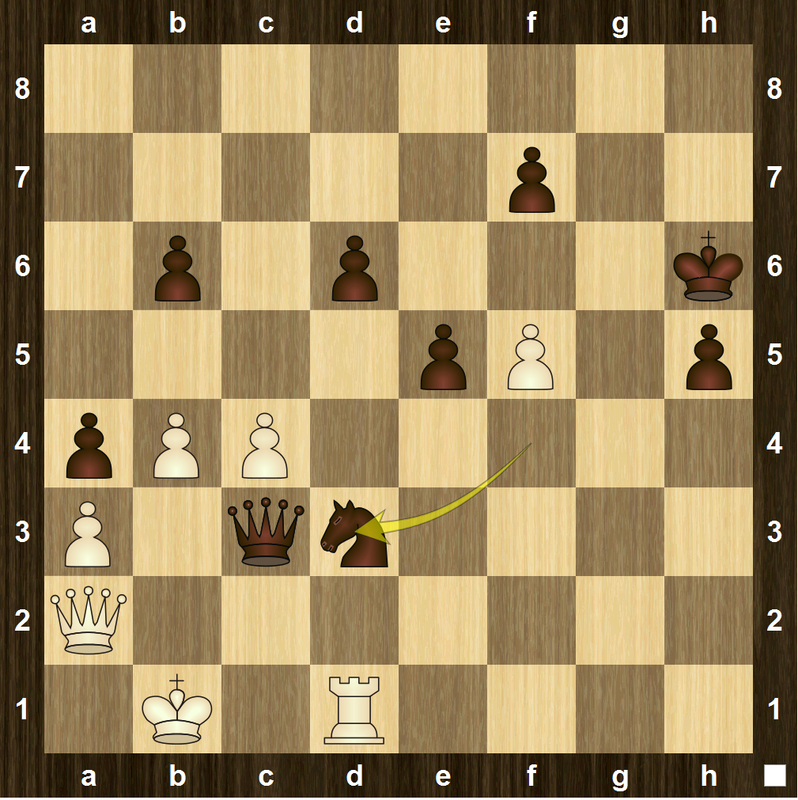 An interesting idea is to clarify matters on the kingside and give up the c-pawn with 17. Qh4. My idea was to give up the dark-squared bishop when the knight goes to b6 (since allowing it to get to a4 is unpleasant) and not worry too much when the other knight goes to f4. Unfortunately, the e3 bishop was doing double duty: stopping one knight from getting to b6, and the other from getting to f4. But I thought that allowing the knight to get to a4 would lead to very bad things for me. This was a crafty move, and it took me a little while to understand what was going on: black threatens to play 22…Qa3. Another nice move, bringing the bishop into the game. After 23. c4, black is a bit better, but white is in better shape than in the game. Exchange sacrifice #2. I was originally planning to play 24. 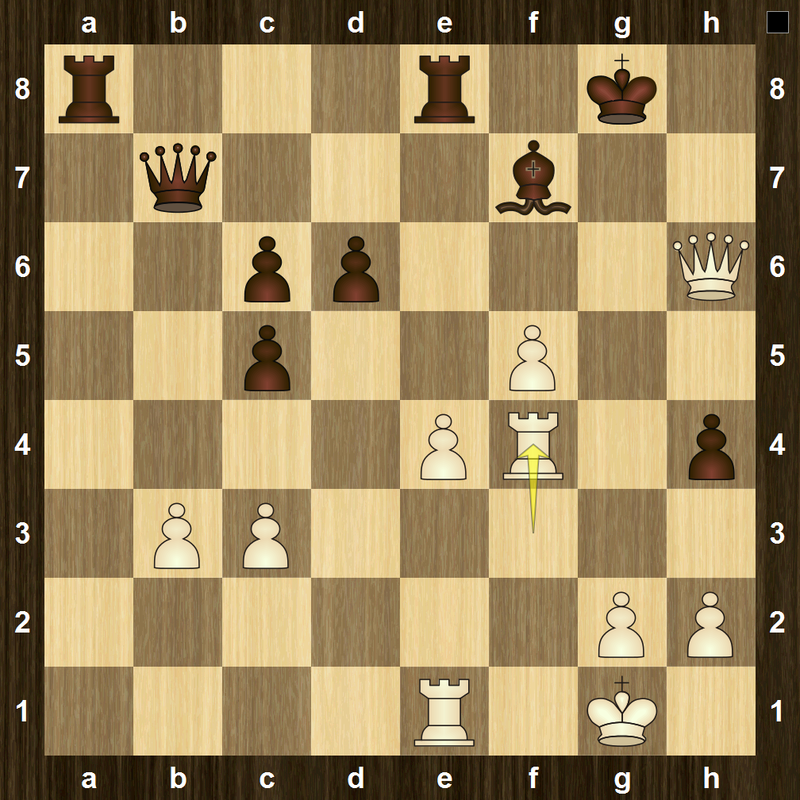 Rb5, but after 24…Qa3, white is simply lost. For example, 25. Rb2 Nf4, and c3 falls. So, this exchange sacrifice was forced. That was the best I could do: go down a pawn, but my structure is somewhat improved, and at least for the time being, black’s attack has been slowed. Objectively, though, I think my position is lost. So, the goal is to do the best I can setting up a fortress and not making any new weaknesses. I was mildly surprised by this decision. Okay, black has some attacking chances still, but I expected that my opponent would prefer an endgame with a clear extra pawn. And, to be honest, I was hoping that he would trade queens, given that I have worked quite hard on endgames recently and thought I might hold, even if I didn’t really deserve to. 29. a3 Rc8 30. Rf1 g6 31. Qd2 Bg4! 32. Rd1 Bxe2 33. Bxe2 Nf4? This is what I expected, and it’s the most logical move, but 33…Ng3 simply wins another pawn. After this inaccuracy, I can put up some serious resistance. I had been counting on the strength of this pawn structure for some time. It’s no longer easy for black to break through, since d5 never works, b5 probably doesn’t work, a4 might be weak, and white might be able to play c5 in certain circumstances. At this point, I thought I had reasonable chances to hold. This attempt to get the rook back to the c-file was logical enough, but it’s not clear what the point is: I just keep my queen and rook on the c-file and shuffle my king, and how is black going to do anything? So, he figured out that that idea wasn’t going to work. But what is happening next? Yeah, that seems like a better plan. For some time, I had been thinking about playing h5 gxh5 Bf5, but now is my last chance to do it. 42. h5 gxh5 43. Bf5 h6 44. gxh6+ Kxh6? 45. Qh2? A better move is 45. Rg2, trapping the king on the h-file. The idea is that, while there are several things black wants to do, it’s hard to do all of them: if the queen goes to a8 to prepare Rg8 and a rook trade, then I have Qd2, hitting the d-pawn. 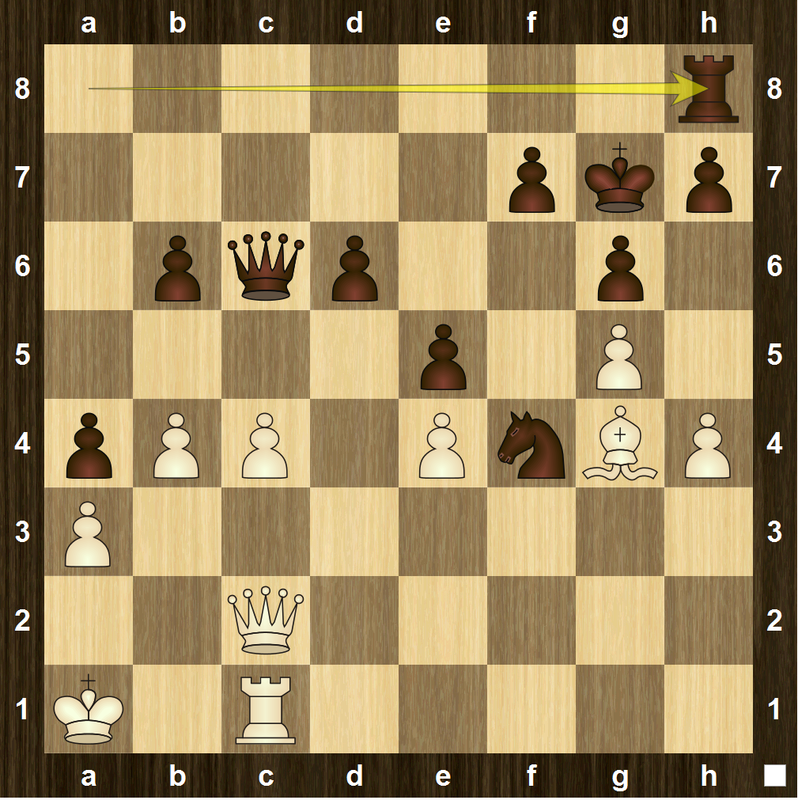 If the queen stays on c6, then I can play Qh2 and Qg3 (sacrificing the c-pawn), setting up threats on the g-file. I’m not going to complain about a draw here. But he won’t have any of that. Exchange sacrifice #3. This is not the best way to continue though: 49…Rg2 50. Qh4 Kg7 51. Rc3 Ne2 is completely winning for black. His move might be winning too, but it gives me more chances. One point to notice is that I’m not seriously threatening anything: he could just take some time to put his king in a safer spot before continuing, and I wouldn’t be able to do anything in the meantime. 50. exf5 Qf3 51. Qa2 Qe3 52. Rd1 Qc3+? It’s better to win the f-pawn first with 52…Kg5 and then push the h-pawn. At the very least, it buys time for a pawn race, which, as we shall see, is very important later in the game. It’s probably still a draw with best play, but now white has most of the winning chances. I didn’t know what was going on here during the game, but I knew what I had to do: activate my queenside pawns before black’s kingside pawns get too dangerous. First plan of action: defend my c-pawn with my king so that I can win the d- and b-pawns, and try to do so quickly enough that I can still stop the black pawns on the kingside. But will it work? So far, we have stayed in drawing territory. But now black has a decision to make: which pawn to push? 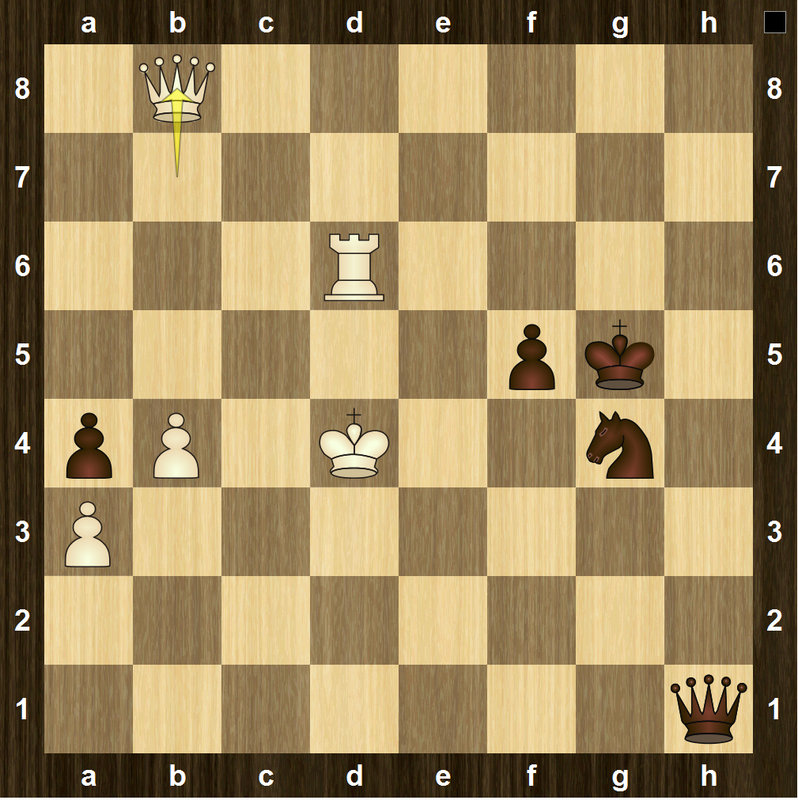 Is it better to have two relatively advanced pawns, or one very advanced pawn? It’s sometimes hard to figure out what to do when you have two passed pawns, but here’s a pretty good heuristic: bet everything on the one that’s the most advanced. 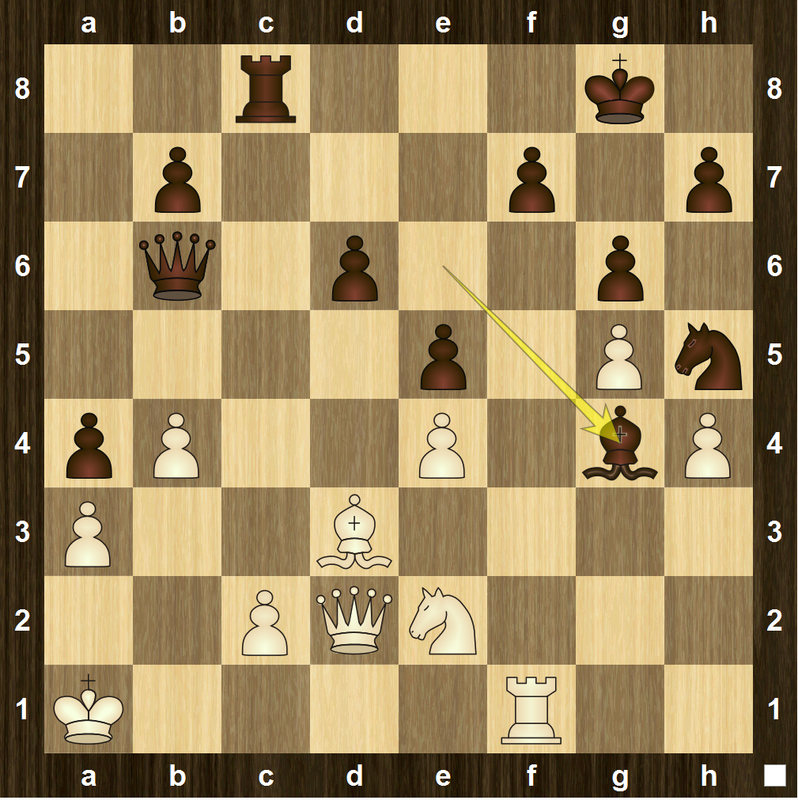 This heuristic would lead to the correct move in the case: 60…h4, which draws. For example 61. Rxd6 h3 62. Rd1 Kf4 63. Kd4 h2 64. Kd5 Ng4 65. Rh1 Ne3+ 66. Kc6 Kg3 67. c5 bxc5 68. b5 Nc4 69. 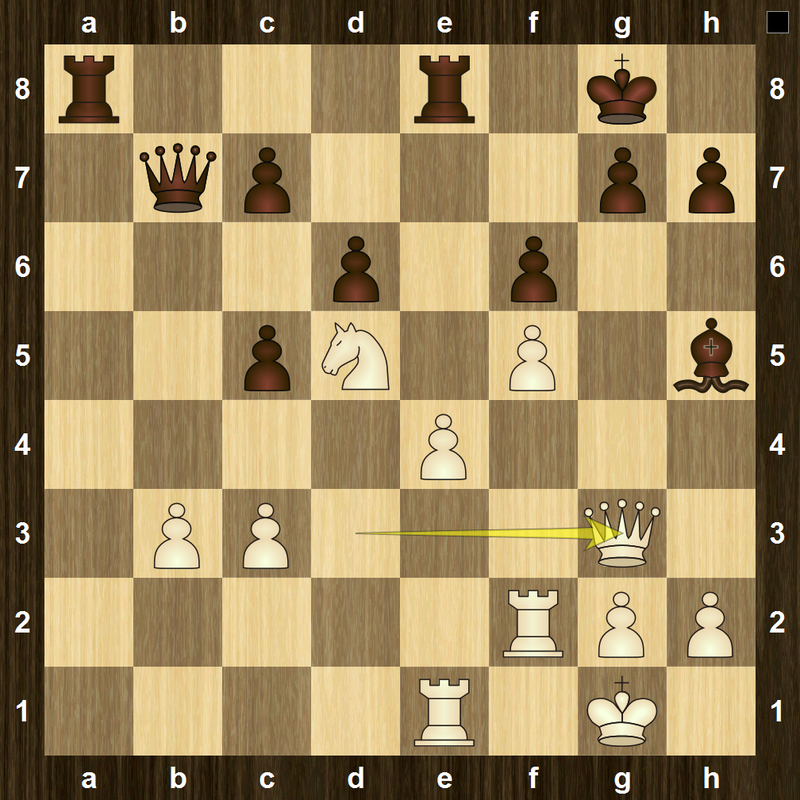 Kxc5 Ne5, and black can stop the b-pawn with the knight, so the game should end in a draw. 61. Rxd6 h4 62. Kd4? In turn, I’m not sure what I missed, but 62. Rxb6 h3 63. Rd6 h2 64. Rd1 is pretty clearly winning for white. I guess the pressure of a long game was taking a toll on both of us by this point. Better is 62…Nf3+!, because there are too many forks lurking. This is probably winning, and it’s very exciting to go into a pawn race and get some new queens on the board, but 63. Rxb6 h3 64. Re6 is a much easier and less stressful way to win. Not 64. c6?? h2 65. c7 h1Q 66. c8Q Qd1+ 67. 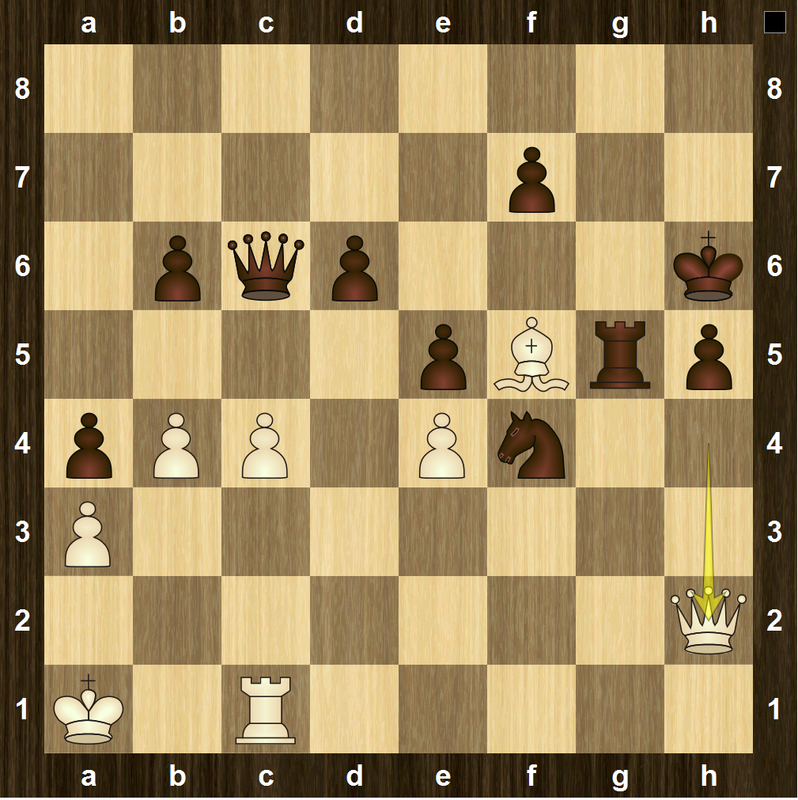 Kc4 Qc1+, winning the queen. I evaluated this as probably winning, but I’m not sure, and anyway with limited time remaining, I didn’t know what would happen. After the expected 66…Qc1, it’s still a tough game. Fortunately for me, though, he quickly went astray. Maybe this isn’t a horrible move objectively, but it puts the queen in a vulnerable spot, and that’s not a smart thing to do in a complicated position after 5 hours with little time remaining. My opponent deserves a lot of credit for extracting a lot from an exchange sacrifice that I didn’t initially believe in (Rxc3). 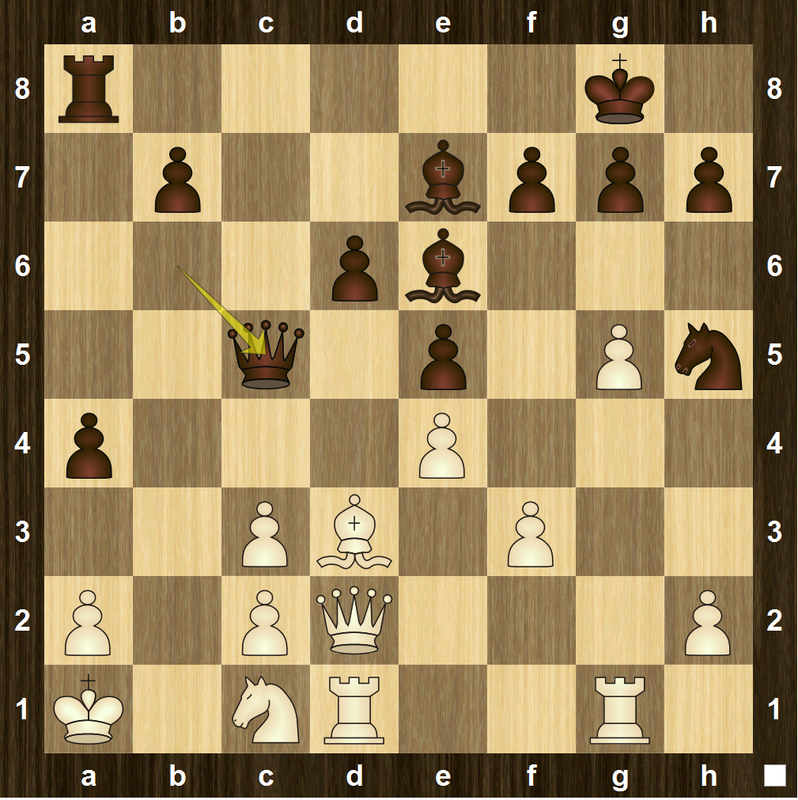 I knew that in the Dragon, Rxc3 always works, but I was more skeptical about its strength in the Najdorf. I guess now I know better to allow it in the future. I also need to know my lines in the Najdorf better if I’m going to continue to play open Sicilians: it’s simply irresponsible to enter into such sharp lines without being well-prepared. (In fact, all three of my white games in this tournament featured the Najdorf. It was only in the third game that I responded relatively well.) Probably I would see the most benefit in my chess ability if I were to work on my openings and learn some systems properly. But how do I do that in the most effective way possible? I could memorize a bunch of lines blindly à la Moonwalking with Einstein using memory palaces or something similar, but I have fundamental objections to using such techniques, since they cause people to remember things for all the same reasons. Anyway, I’m constantly telling my students not to memorize things. Alternatively, I could play through a bunch of games and hope that the lines stick, but usually they don’t, as there is so much to learn. So, how do you learn openings? Normally, we aren’t particularly interested in exactly how long it takes to run in terms of number of seconds, because that changes from one computer to another. Instead, we’re interested in how the length of time grows as the length of the input grows. We say that a program runs in polynomial time if there is some polynomial so that the amount of time to solve any instance of the problem with an input of length is at most . Observe that this notion does not depend on the speed of the computer; for instance, if we switch to a computer that runs half as fast, that’s equivalent to multiplying by 2. We call a problem a P problem if it has an algorithm that solves it in polynomial time. Now, let us consider the notion of NP, which stands for nondeterministic polynomial time. What this means is that, if I magically tell you the answer to a problem (but I might be lying to you), you can check whether I’m telling you the truth in polynomial time. A classic example of this is factoring. If I ask you to factor 51445627, you are unlikely to be able to do that quickly (although there are some very clever algorithms for doing it). But if I tell you that the prime factors are 5689 and 9043, then you can check this quickly, in polynomial time in the length of the original number. Note that all P problems are also NP problems: if you can solve the problem on your own in polynomial time, you can still solve it in polynomial time if I tell you the answer, for example by ignoring my answer. The P vs. NP problem asks if P = NP. That is, can every problem that can be checked in polynomial time also be solved in polynomial time? Most people believe the answer to be no, but we have made little progress toward a proof. Note that the property of being in P depends on all instances of the problem. However, computer scientists are a bit different from mathematicians: they don’t usually need to prove things; they just want to get right answers. (Probably not all of them, but that’s my view of it from a mathematician’s world.) So, might it be that there problems that can’t always be solved in polynomial time, but usually can? Now, one might ask whether there are any problems for which there exist average polynomial time algorithms but not polynomial time algorithms. Since we don’t know whether P = NP or not, it’s hard to be sure, but one problem that is very strongly believed not to be a P problem is the Hamiltonian path problem. Let us explain what it says. 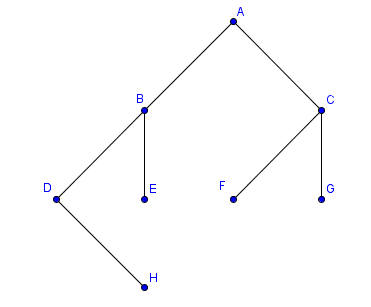 A path in a graph is a sequence of edges so that each edge (other than the first) starts where the previous one ended. (So that we can imagine walking on it if we were on the graph.) A path is called a Hamiltonian path if it goes through each vertex once, without any repetitions. It is widely believed that the Hamiltonian path problem is not a P problem; in fact, if it were, then we would also have P = NP, since it is possible to convert any NP problem quickly into a Hamiltonian path problem. So, we believe that we can’t solve the Hamiltonian path problem quickly in general. But what about for most cases? In order for that question to make sense, we need to put a probability distribution on graphs with vertices, so that we can sample them. One way of doing that is with the Erdős–Rényi model that I discussed last week: we pick a random graph by saying that any two of its vertices will be connected with probability , independently of all the other pairs. Choose a potential starting point and a potential ending point. (There are only a polynomial number of pairs to choose, so we can run through all such pairs in polynomial time.) Try to make a Hamiltonian path by making a path from the starting point that’s as long as possible, just by trying to add one vertex at a time. Once we get into trouble, do the same thing starting with the ending point. Try to make minor modifications to splice these two pieces together. If that doesn’t work, try to show there is no Hamiltonian path. To do this, identify troublesome vertices: the ones that have relatively small degree. See if there is a contradiction involving these problem vertices. If that doesn’t work, simply check every possible path and see if it gives a Hamiltonian path. Steps 1 and 2 can be done in polynomial time; it is only step 3 that can’t. But it turns out that we won’t reach step 3 very often, because most of the time the algorithm will have finished after step 1 or 2. Okay, so it’s an example, although I don’t find it particularly satisfying: as gets large, almost all graphs chosen in this way have Hamiltonian paths, since they have so many edges! I’d be very likely to find one in Step 1, which just tries things at random. Thus, I could make an algorithm that says there is always a Hamiltonian path, and it will run very quickly and only very rarely be wrong. So, I am curious to know whether there are more interesting examples of problems with average polynomial time algorithms but that are not expected to have worse-case polynomial time algorithms. Instead, I just want to talk about the graphs themselves, since there are a lot of questions one can ask about the structure of them. What do they look like? In particular, are they likely to be connected? If , then the probability that the graph is connected goes to 1, as goes to infinity. If , then the probability that the graph is connected goes to 0, as goes to infinity. I’m not going to give a proof here, but a proof can be found on this MathOverflow page. If , then with high probability all the connected components are small: they have size . 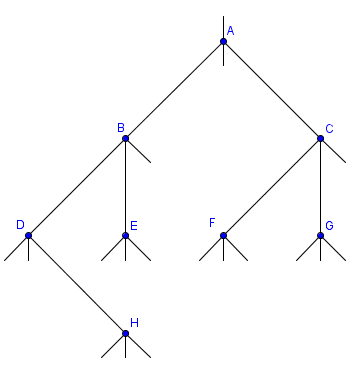 If , then with high probability there is exactly one large connected component, of size , for some number , and the rest of the connected components have size . The large component when is called, suitably, the Giant Component. A proof can be find here. There is a lot more than one can say about the Erdős–Rényi model for random graphs, but this will be enough for now.